The classic Durham mug shape is available as a full colour printed photomug in TOUGH, DISHWASHER-SAFE, DURAGLAZE material for mug prints that will survive more than 2000 runs through a dishwasher (statistically, the print will outlast the mug in many cases thanks to gravity!). Perfect if you’re looking for a promotional mug that will go the distance, proudly broadcasting your brand or message from the desks and kitchens of the workplaces of your customers or potential customers for a loooooong time. larger ’11oz’ Duraglaze Durham mug size (holds 313ml or 11 fl.oz.) for maximum promotional impact. Mugs and Coasters UK specialises in supplying a huge range of printed promotional mugs and custom coasters for your business or organisation. 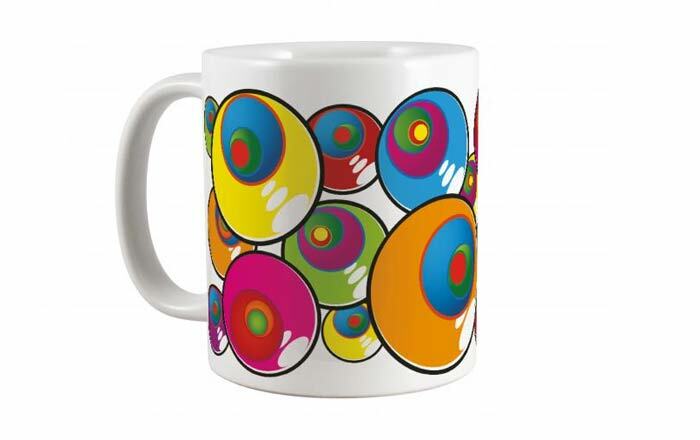 We are sure to have a mug style that suits your specific brand or design, from standard screen printed mugs, full colour-printed photomugs to fully Pantone-Matched colour coat mugs. Previous Post:Tartan Lanyards? In Stock? Oh Well Plaid!